In most cases, people simply forget what was promised and don't hold their politicians accountable unless things are really bad. But the Canadians are taking a different approach. 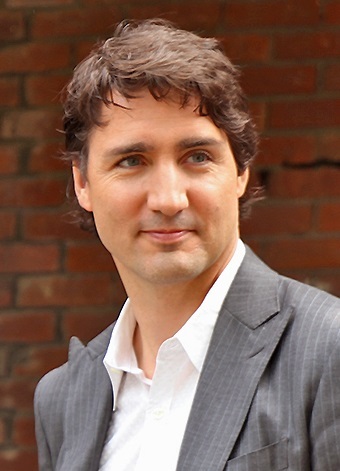 After a political campaign in which big things were promised, Justin Trudeau, has become the new Prime Minister of Canada, having assumed office very recently on the 4th of November, 2015. To keep track of the promises made along the campaign, four techies from Canada (ok... 3 Canadians and an Englishman) have come up with the site TrudeauMetre - a non-partisan collaborative citizen initiative that tracks his performance with regards to his electoral platform. Across seven different categories, Culture, Economy, Environment, Government, Immigration, Indigenous People and Security, Trudeau has made 184 promises throughout the campaign trail. Most of the promises can be found in the Liberal platform, with the rest from news articles and the media. Click on the different categories to see the related promises made, how much progress there's been as well as the amount of discussion surrounding each promise. As you can see from the picture above, some promises like accepting Syrian refugees attract a lot more discussion than others. Click on a promise and you can see it's source, progress status as well as engage in a discussion with other users about that particular promise. An improvement based on comments from users, if a promise has been completed, there'll even be a link to a news article that confirms it has been achieved. The inspiration for the TrudeauMetre actually comes from Egypt. In 2012, the Egyptians had just chosen their first democratically elected president - Mohamed Morsi and some Egyptian coders came up with the Morsi Meter to keep track of his promises. Surprisingly, no Western country (that we know of) had done something like this before. Will the TrudeauMetre guarantee that Justin Trudeau keeps all or most of his promises? Unlikely. But what we like so much about this site is that it helps to keep the Canadian citizens more accurately informed about politics by seeing which promises their elected politicians have kept and which they have broken. Hopefully, this site will help to end misinformed debates about whether elected leaders are keeping to their word. We think sites like these are a great idea that could be extended to U.S. politics, U.K. politics, and in fact any democracy in the world, helping to keep politicians honest. The CameronMetre and MerkelMetre anyone? Check out the TrudeauMetre and let us know what you think! UrinalMan - Where Do You Stand?